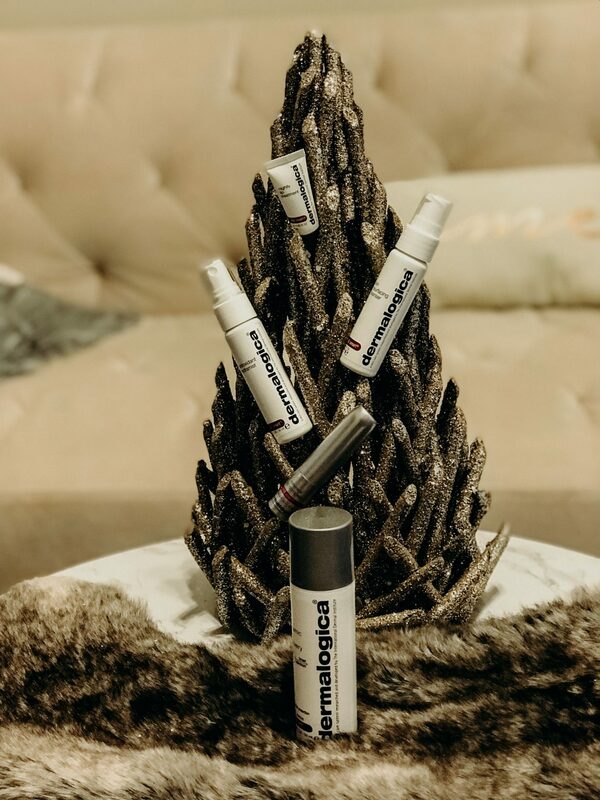 Glowing with Dermalogica This Holiday! Dermalogica has been apart of my skincare routine now for over six months, and my skin is not only glowing, but it’s also a lot healthier. I started using the Daily Defenders products over a month ago, and the products have been great for this dry cold weather! This kit would be the perfect gift! Dynamic Skin Recovery SPF: Dermalogica’s best selling moisturizer which I have to say is a must for this time of year that includes SPF…this is a MUST! Antioxidant HydraMist: This peptide toner is super hydrating, and helps reduce fine lines. I use this after cleansing, and also throughout the day to stay refreshed. Skin Resurfacing Cleanser: This cleanser not only exfoliates, it also helps to retexturize skin. This is a good one for an extra dewy look. Lip Renewal Complex: I use this every single day now, and wear it alone, and always under lipstick! It gives your lips a great luxurious plump look, and feel while also keeping your lips hydrated. Nightly Lip Treatment: Hands down my favorite product of the season! I always have super dry lips even in the summer. I always exfoliate and have tried several different lip masks, but this one has been night and day. I apply it before bedtime, and it instantly soaks in whereas other masks I’ve tried are way too sticky, and eventually just come off all over my pillow. When I wake up my lips are smooth, and incredibly moisturized. I can’t even tell you what a relief this is. If you suffer from dry lips, I highly recommend this!